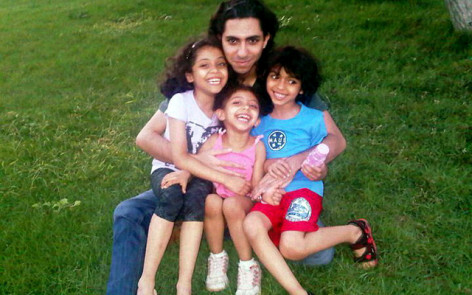 Raif Badawi with his 3 children. A Saudi Arabian court has sentenced the editor of a website that discussed religion in the ultra-conservative Islamic kingdom to 10 years in jail and 1,000 lashes. 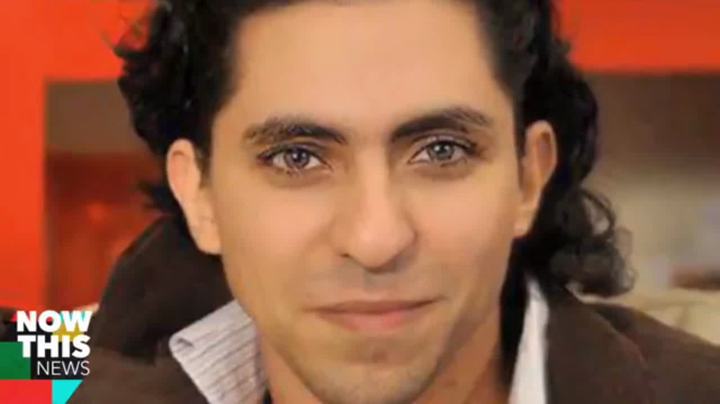 Raif Badawi, who started the “Free Saudi Liberals” website, was arrested in June 2012 and charged with cyber-crime and disobeying his father – a crime in the Arab state, local media has reported. Prosecutors had demanded Badawi be tried for apostasy (a total desertion of or departure from one’s religion; rejecting the truth of Allah in this case), a charge which carries the death penalty, but this was dismissed by the judge. Badawi was originally sentenced to seven years in prison and 600 lashes in July last year, but an appeals court overturned the sentence and ordered a retrial – which then earned him a more severe sentence. His punishment comes shortly after Saudi Arabia criticized Norway’s human rights record and accused it of not doing enough to counter criticism of the prophet Mohammed. The gulf state also demanded all criticism of religion and of the Prophet Mohammed be made illegal in Norway. His retrial led the judge to impose a harsher punishment and fine him one million riyals (almost $267,000). In April, the Kingdom introduced a series of new laws which define atheists as terrorists, according to Human Rights Watch. Ukrainian Jews with combat skills have formed a rapid intervention force to stop anti-Semitic attacks. The force, which was set up in recent weeks, currently is made up of eight men who served in the Ukrainian or Israeli armies or have martial arts skills, the team’s founder, Tzvi Arieli, told JTA Thursday. The defenders are armed with baseball bats that an American donor whose family hails from Kiev sent the team, he added. “We are trying to raise funds for bullet-proof vests which would greatly increase safety if the situation escalates,” said Arieli, a Latvia-born former soldier of a special forces unit in the Israel Defense Forces who lives in Ukraine. Arieli said he set up the task force – which now has its own Facebook page – at the request of Rabbi Yaakov Dov Bleich, a chief rabbi of Ukraine, following a series of anti-Semitic attacks that occurred in Kiev and beyond in the wake of a bloody revolution that erupted in November over former Ukrainian President Viktor Yanukovych’s alleged corruption and perceived allegiance to Russia. Yanukovych was ousted from power in February. The following month, Russian-backed troops seized control of the Crimean Peninsula – an area which used to belong to Ukraine and which Russia promptly annexed [took over], claiming residents had sought Russian protection for fear of Ukrainian nationalism in the post-revolution period. Hundreds have died in clashes between different interest groups and militias. “In talks with officials, it became clear the authorities could offer limited protection to the Jewish community so we needed to take security into our own hands,” said Arieli, who in March helped organize the medical evacuation of Ukrainians who had been wounded in fighting to Israel. He said the self-defense team was acting with Ukrainian authorities’ knowledge and consent. Arieli also noted that Ukraine, where anti-Semitic assaults used to be rare occurrences, has seen four serious physical assaults against Orthodox Jews and two attempts to torch synagogues. “These attacks were well-planned,” said Arieli, who blamed pro-Russian militants whom he said were trying to justify Russian aggression. The Kremlin and some pro-Russian Ukrainians have blamed far-right Ukrainians for the attacks. The cost of building Brasilia’s World Cup stadium has nearly tripled to $900 million in public funds, largely due to allegedly fraudulent billing, government auditors say. The spike in costs has made it the world’s second-most expensive soccer arena, even though the city has no major professional team. 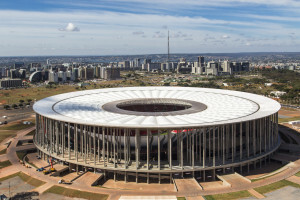 Mane Garrincha stadium, which boasts 288 imposing concrete pillars holding aloft a high-tech self-cleaning roof, has become the costliest project related to Brazil’s $11.5 billion World Cup. Critics call it the poster child for out-of-control spending and mismanagement, or worse. Now, an Associated Press analysis of data from Brazil’s top electoral court shows skyrocketing campaign contributions by the very companies involved in the most Cup projects. The lead builder of Brasilia’s stadium increased its political donations 500-fold in the most recent election. The financial links between construction firms and politicians add to deep suspicions among Brazilians that preparations for soccer’s premier event beginning next month are tainted by corruption, raising questions about how politicians who benefit from construction firms’ largesse can be effective watchdogs over billion-dollar World Cup contracts. Anger over perceived corruption helped fuel huge protests last year, and there are fears more unrest could mar the Cup. In a 140-page report on the stadium, the auditors found $275 million in alleged price-gouging — and they have only examined three-fourths of the project. They forecast that fully one-third of the stadium’s cost may be attributable to overpricing, the largest single chunk of $500 million in suspect spending auditors have flagged in World Cup construction projects so far. Federal prosecutors say as yet no individuals or companies face corruption charges related to World Cup work, but it could take years for official audits to be finalized and judged by civil courts, a required step before any criminal charges are filed. There are at least a dozen separate federal investigations into World Cup spending. In a poll last year, three-fourths of respondents said the World Cup construction has been infused with corruption. Such beliefs fueled widespread and often violent anti-government protests last June that sent more than a million Brazilians into the street during FIFA’s Confederations Cup soccer tournament, the warm-up event to the World Cup. Many protesters railed against corruption and the billions spent to host the events. The distrust isn’t surprising in a nation where 40 percent of federal congressmen have criminal cases pending against them before the country’s highest court, according to the watchdog group Focus on Congress, bolstering concerns the rise in campaign contributions found by the AP likely influenced government spending on the Cup. b) What charges were brought against 32 year-old Raif Badawi? b) Why have Arieli and others formed this defense force? Who do they blame for the attacks? 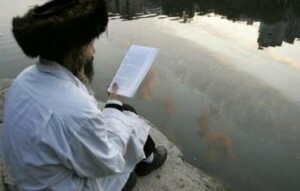 c) What facts about the defense force and Ukrainian government do Arieli and Rabbi Bleich stress? b) What is the World Cup? How often does it take place? How many people watch it? The team was scheduled to deploy on Friday in Kiev to fend off any violence against Jewish targets during events that commemorate the May 9 surrender 69 years ago of Nazi Germany to the Russian army. The unit is a neighborhood watch organization akin to the ultra-orthodox Shomrim [guards] group that protects Jews in Brooklyn, Ukrainian Chief Rabbi Yaakov Dov Bleich told The Jerusalem Post. “It is a community group that works along with police and the local authorities to strengthen the protection of communal buildings and the local community,” he said. “It’s not at all a vigilante” organization. The price of building or refurbishing the 12 arenas alone has nearly quadrupled from initial estimates, helping make Brazil’s World Cup the priciest yet. Funding for Brasilia’s stadium – whose cost among soccer venues is topped only by England’s Wembley Stadium – relies solely on financing from the federal district’s coffers, meaning every cent comes from taxpayers. The auditors’ report found instances of what appears to be flagrant overpricing. For instance, the auditor’s report says transportation of prefabricated grandstands was supposed to cost just $4,700 — but the construction consortium billed the government $1.5 million. The consortium is made up of Andrade Gutierrez, a construction conglomerate, and Via Engenharia, an engineering firm. The steel to build the arena represented one-fifth of total expenses, and auditors say wasteful cutting practices or poor planning added $28 million in costs, the single biggest overrun uncovered so far. The audit questions why the consortium had to discard 12 percent of its steel in Brasilia when Andrade Gutierrez, using the same cutting methods, lost just 5 percent of steel at another stadium it helped build in the Amazon city of Manaus and virtually none at a Cup arena in Cuiaba. Another $16 million was lost when Brasilia’s government inexplicably failed to enforce a fine against Andrade Gutierrez for a five-month delay in completion of the main portion of the stadium. Auditors also say they spotted $2.3 million worth of materials that were simply listed multiple times on bills. Andrade Gutierrez did not respond to an AP request for comment on the accusations of cost overruns. But Claudio Monteiro, the head of the government’s World Cup committee in Brasilia that is responsible for oversight, said the audit court’s allegations are simply wrong and that all spending on the Brasilia stadium would be justified. Monteiro is the former chief of staff to Brasilia’s Gov. Agnelo Queiroz, a position he was forced to leave in April 2012 amid accusations he was part of a widespread kickback scheme. That scandal also forced him to give up his seat on the World Cup committee, but no charges were filed and he returned to the post a few months later. Sports Minister Aldo Rebelo, a member of the Communist Party of Brazil, defended the legacy the Cup will leave behind for average Brazilians and said anybody responsible for misspent public funds would be found out.